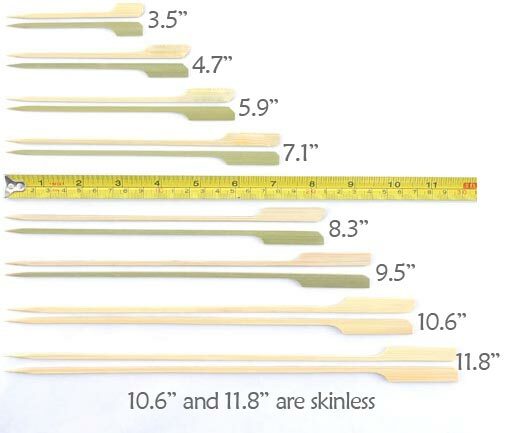 These work great as cocktail picks, sample picks or as skewers for grilling when using the longer sizes. These feature a square cross section that provides rigidity, and helps to prevent food from spinning on the skewer. The wide decorative end can be custom branded with your logo or company name. Call for minimums and current lead times. All paddle picks purchased though this site will ship plain and brand free unless specifically noted.